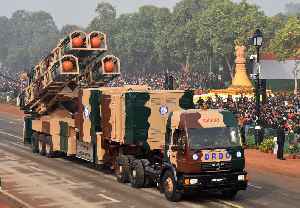 Nirbhay (Sanskrit:Dauntless/Fearless) is a long range, all-weather, subsonic cruise missile designed and developed in India by the Defence Research and Development Organisation. The missile can be launched from multiple platforms and is capable of carrying conventional and nuclear warheads. It is currently under development and undergoing flight trials.